> > Any GPU that I know fits the manycore definition. > consider manycore. For instance something like the GM204 is basically a 16 core design. > > definition and is aimed to compete against GPGPUs. > model to functionality, KNL is just a high core count multi-core. 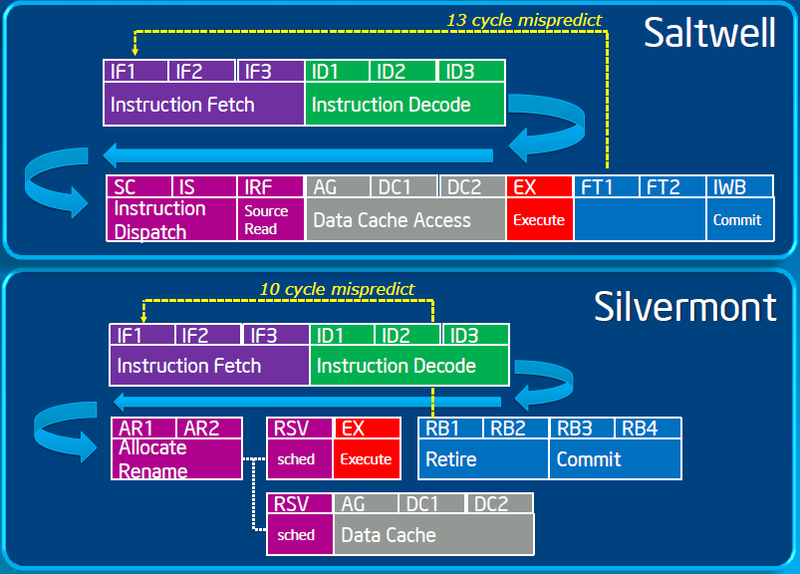 And this proves again that you don't even know what a manycore is. Bye! juanrga (nospam.delete@this.juanrga.com) on January 10, 2015 8:25 pm wrote: > Aaron Spink (aaronspink.delete@this.notearthlink.net) on January 10, 2015 7:21 pm wrote: > > juanrga (nospam.delete@this.juanrga.com) on January 10, 2015 6:32 pm wrote: > > > Any GPU that I know fits the manycore definition. > > > > > > > How? Most GPUs have the same if not less cores than something like a E5-2699v3 which no one would > > consider manycore. For instance something like the GM204 is basically a 16 core design. > > > > > I am claiming that KNL is manycore because KNL fits the manycore > > > definition and is aimed to compete against GPGPUs. > > > > > KNL doesn't have enough cores to even be considered a real manycore. Not to > > mention that KNL is using multi-issue OOE cores. if anything, from programming > > model to functionality, KNL is just a high core count multi-core. > > > > > > And this proves again that you don't even know what a manycore is. Bye!